Christmas bills do not show up on credit cards until January. It gives an identity thief plenty of time to make some mischief. This individual can easily max out your credit card with purchases, selling the stuff on eBay or from a car trunk. You don’t know the damage until weeks later. Countrywide Pre-Paid Legal Services offer protection using email alerts. These Internet sent warnings tell an individual that there’s been some unusual activity on the credit card, allowing the owner to take corrective action immediately. These alerts come from the three top credit reporting bureaus and are highly reliable. A successful breach of identity can devastate an individual’s credit rating. It can also take months to restore financial wellness finally. Countrywide offers help with restoring credit, and the degree of support depends on the plan selected. Our group legal plan benefits allow a client choice, and we do the same with our identity theft service. A client may choose from our two plants: Premier Identity Theft Protector or Platinum Identity Theft Protector. Each has unique services, but both have a $25,000 theft insurance benefit. Restoring credit reliability is not cheap. The victim can incur all kinds of legal fees as well as processing and administrative costs. That insurance policy makes it easier to deal with financial hassles that may surface. Employers need to take identity theft seriously. Employees are vulnerable to cyber-attack or from over the shoulder identity snatching. Anyone who is forced to deal with such an assault is going to have high levels of anxiety, resulting from a vulnerability they may not have experienced before. It can affect the productivity of hard-working Associates. Countrywide Pre-Paid Legal Services is a firm believer in providing not only great benefits but superior service as well. The victim of an identity theft is frightened, and needs support sensitive to their condition. Countrywide staff members are selected for empathy and personal skills as well as efficiency. Anyone involved with the identity theft benefit will take the time necessary to help a person explore options, and feel a little more confident about credit recovery. 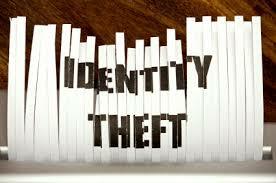 The same high-quality we provide in our group legal plan benefits will be used in identity theft activity. We are committed to finding solutions to the problem and making the person feel safe once again. Identity theft must be taken seriously. It is a billion-dollar industry and is the fastest-growing crime in the United States. It isn’t just stolen wallets. Bank accounts are compromised, and it is estimated one out of every ten consumers is a victim. The time spent correcting identity theft will be up to 200 hours or more. It is time taking away from productive work.